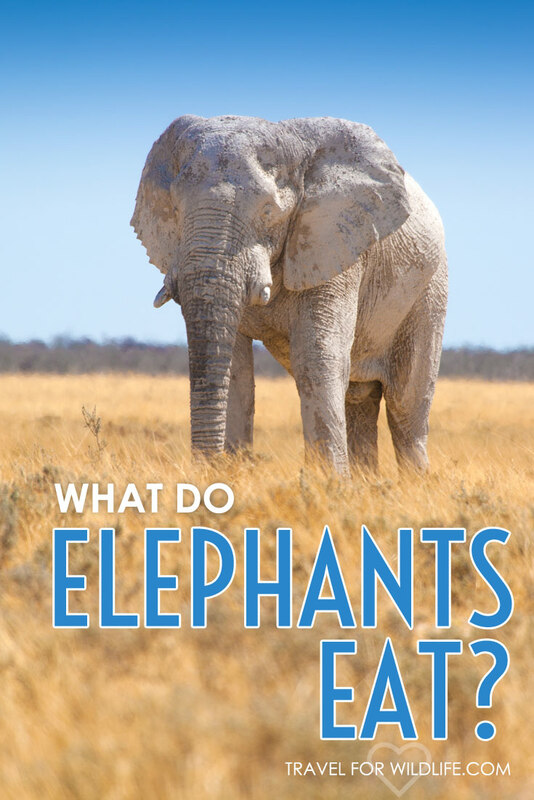 Elephants are herbivores, meaning they only eat plants, but what do elephants eat exactly? Other large herbivores tend to specialize as either grazers (grass eaters) or browsers (parts of woody plants), but elephants do both. 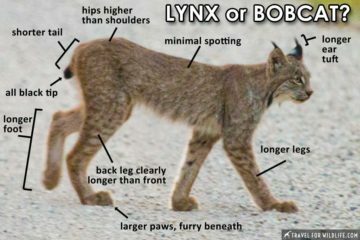 The proportions of grass or browse they consume depends on the season and habitat. Generally speaking, elephants eat more grass during the early wet season, then rely more on browse for the rest of the year. 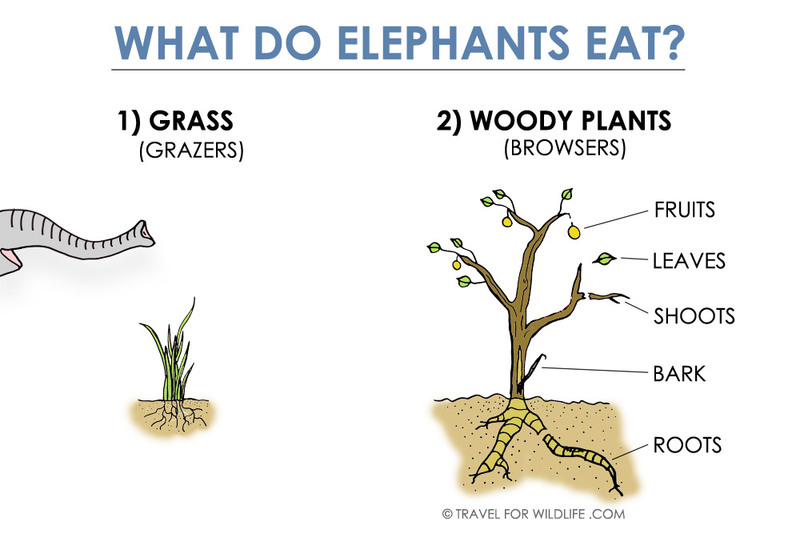 What do elephants eat? Grass and woody plants! Check out this fun short video explaining what elephants eat! What Does an Elephant Eat? More than 300 different plant species worldwide! 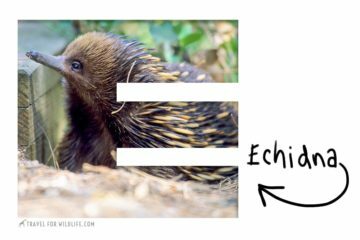 How Much does an Elephant Eat? 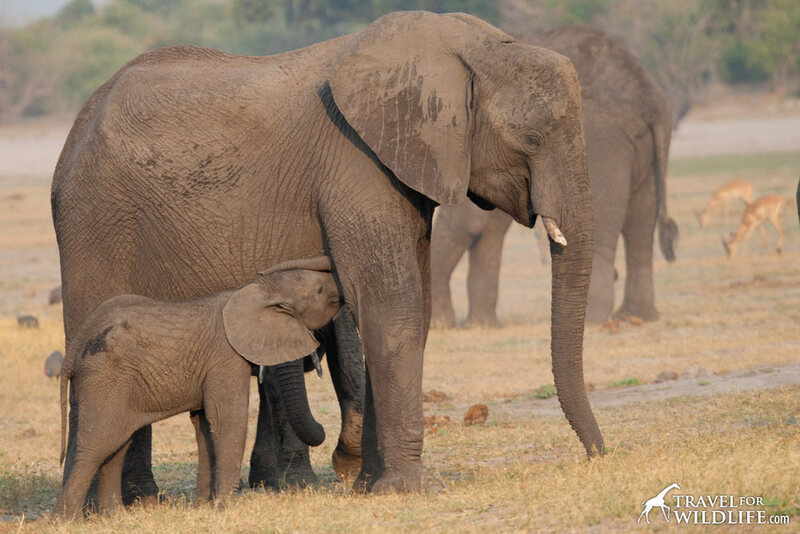 Baby elephants may nurse for up to 4 years but will begin eating plants at just a few months of age! Baby elephants may nurse for up to 4 years but start eating plants within months. Elephants are capable of knocking down large trees to get at foliage that would otherwise be out of reach. 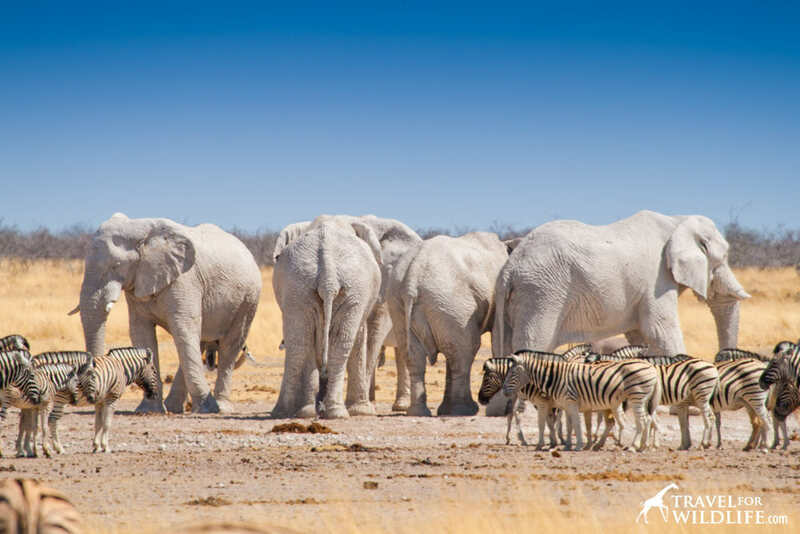 One night we were camping in Botswana in the Makgadikgadi Pans and in the middle of the night we were surrounded by elephants. We were lying in the dark in our sleeping bags, wondering what elephants eat. We had heard tales earlier that day of elephants who had been fed oranges by tourists and had learned to raid camps in search of the juicy fruit. We were pretty sure we had no food in our tent so we held still and listened closely to their noisy activities. Just outside our tent they were rumbling loudly and knocking down huge palm trees (known locally as Mokolwane) so they could get to the delicious palm fruits. The elephants eat the fruits whole and eventually poop out the nut in the center, distributing the seeds across the savannah and spreading the trees. Although they came very close to our tent, they never touched it or dropped a tree on us. Elephants can use their trunks to reach high leaves, but if that doesn’t work they can knock the tree down! Elephants may use their tusks to dig up roots, but most other forms of feeding are performed with their powerful yet incredibly agile trunks. They can tear grass out of the ground, strip leaves from trees high in the air, break off large branches, or delicately spin a twig inside their mouth to strip off the bark. Elephants also love to eat human crops. Nearly all elephant “raids” upon crops occur at night. Asian elephants raid palm oil plantations in Indonesia. African elephants raid corn fields (maize) in East Africa. In southern India one study found that Asian elephants primarily raided millet fields. Many types of experimental deterrents are being developed to protect crops from elephants and to reduce human/elephant conflict. One effective technique, pioneered by the Elephants and Bees Project involves building a fence of suspended bee hives. Elephants are afraid of bees! It also gives farmers another product to sell: honey! 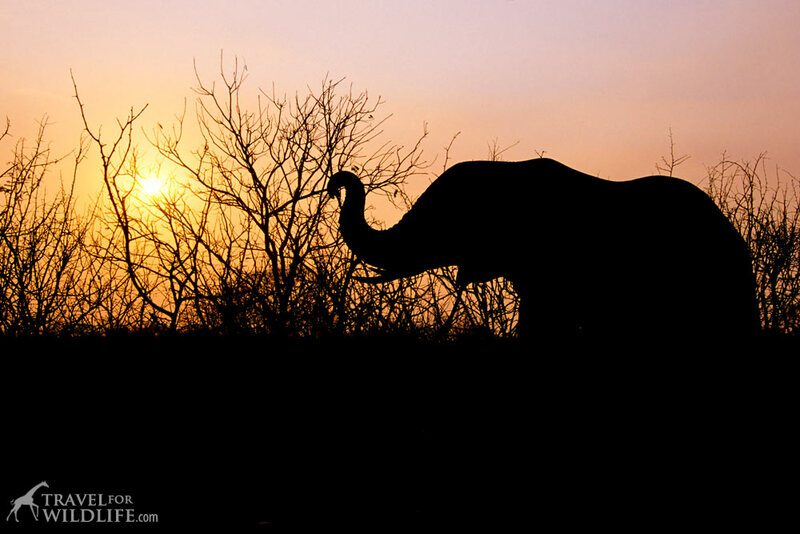 What do African Elephants Eat? Currently, all African elephants are classified as a single species (Loxodonta africana), but many consider the African elephants to consist of two separate species, the Savanna Elephant (Loxodonta africana) and the Forest Elephant (Loxodonta cyclotis) which lives in the Congo rainforests. So what do African elephants eat? Studies show that savanna elephants prefer to eat grass at the beginning of the rainy season (roughly October to March) and then rely more on browsing woody plants during the dry season (April to September). One study in Tsavo National Park, Kenya showed that on average their diet consisted of 10-15% grass but could go as high as 60% grass for short periods. What do elephants eat? This mother and baby are eating grasses! A study to determine what does an elephant eat in Ngorongoro Crater, Tanzania said the elephants’ diet consisted of at least 36 plant species ranging in size from small herbs to large trees. They ate mostly tree browse and sedges during the dry season, and grass and forbs during the wet season. What do Forest Elephants Eat? Forest Elephants occupy a relatively small range in the Congo Rainforest of Africa. 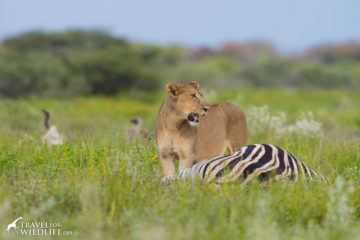 Yet their diet still varies quite a bit depending on which area of Central Africa they live. 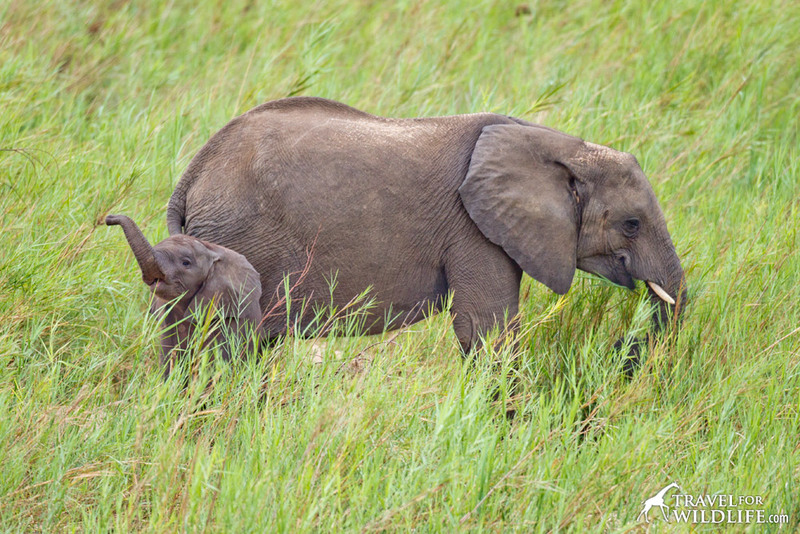 Forest Elephants studied in Santchou Wildlife Reserve, Cameroon still mostly ate grass. 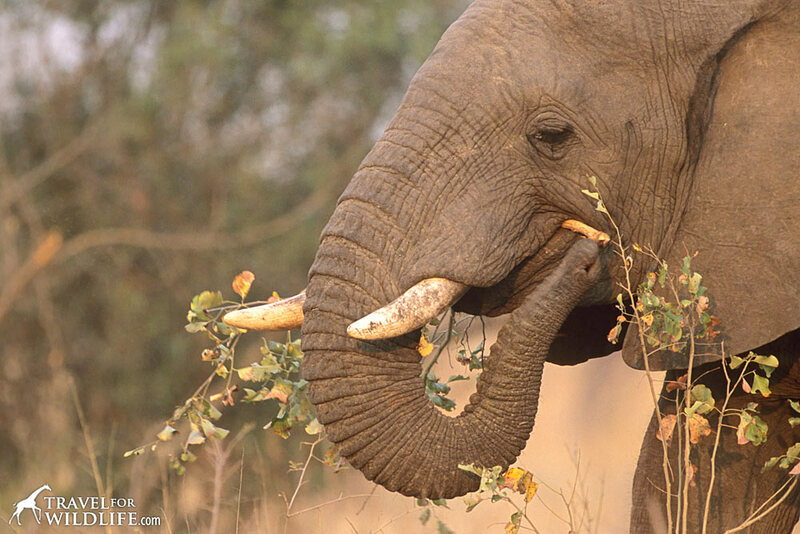 Forest Elephants studied in Lope Reserve, Gabon, however, ate more than 307 species of plants, primarily leaves and bark (70%) Because they live in forests, fruit is an important part of their diet. More than 72 species of fruits are eaten! What Do Asian Elephants Eat? The Asian Elephant (Elephans maximus) is an endangered species. 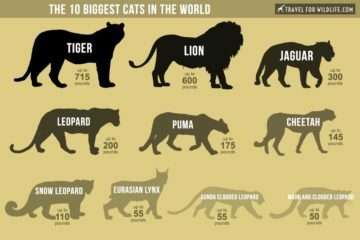 There are only about 40,000 to 50,000 left in the wild. Once widespread across southern Asia, they now only exist in small fragmented populations in five South Asian countries (India, Sri Lanka, Bhutan, Bangladesh, and Nepal) and eight Southeast Asian countries (Cambodia, China, Indonesia, Lao PDR, Malaysia, Myanmar, Thailand, and Vietnam). So what do Asian elephants eat? Like African elephants, Asian elephants are herbivores that only eat plants, and also like African elephants, they eat grasses and herbs as well as many parts of woody plants. Because habitats vary greatly across this large area, Asian elephants eat a wide variety of different plants. For example, when trying to determine what elephants eat in Southern India, one study, showed they eat more than 112 different species of plants, but most of their diet consisted of just 25 species of legumes, palm trees, sedges, and grasses. In the dry season in Nepal, elephants eat 24% grass and 65% browse, while elephants living in Thailand rain forests tend to eat many more fruits and they play an important role in seed dispersal. Do elephants eat peanuts? Nope. Wild elephants don’t eat peanuts. Peanuts are native to South America and no living elephant species live there. Millions of years ago there were several species of elephants living in South America so they could have encountered wild peanuts. But I bet they didn’t eat them then either. So why do we all think elephants eat peanuts? The myth probably originated in zoos where visitors were allowed to throw peanuts to captive elephants. See For Yourself What Elephants Eat in the Wild! It’s cheaper and easier than you might think! 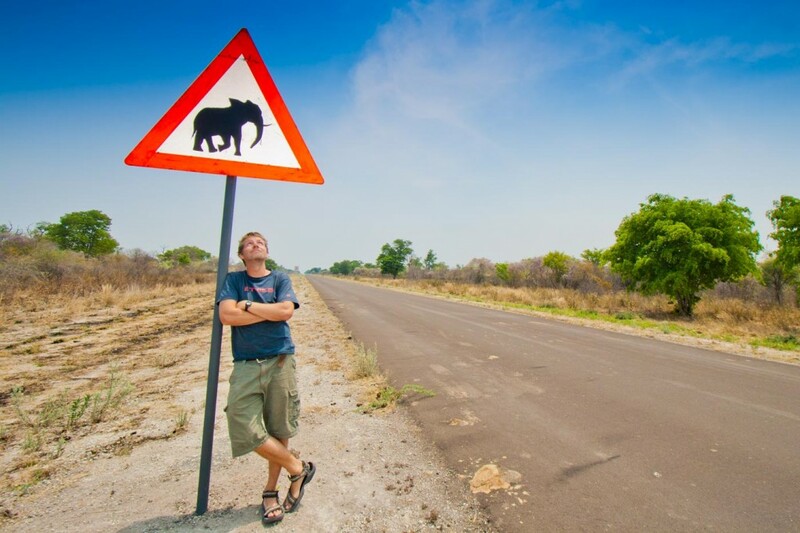 Here’s an article we wrote about how to take your first self drive African wildlife safari! 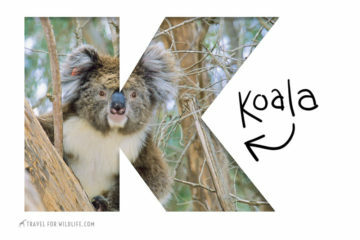 Want to Learn More About Elephants? 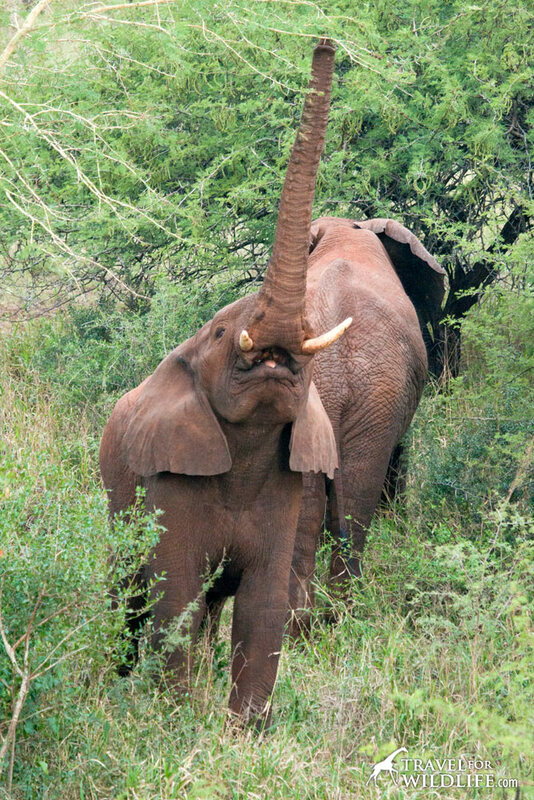 If you love elephants and want to learn more, check out some of our other great articles! 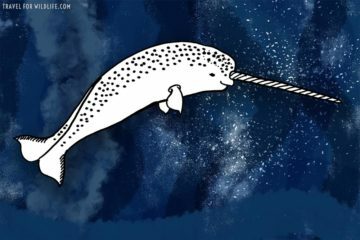 Disclaimer: This article contains an affiliate link. Any purchases made through the link will give us a small percentage at no additional cost to you.